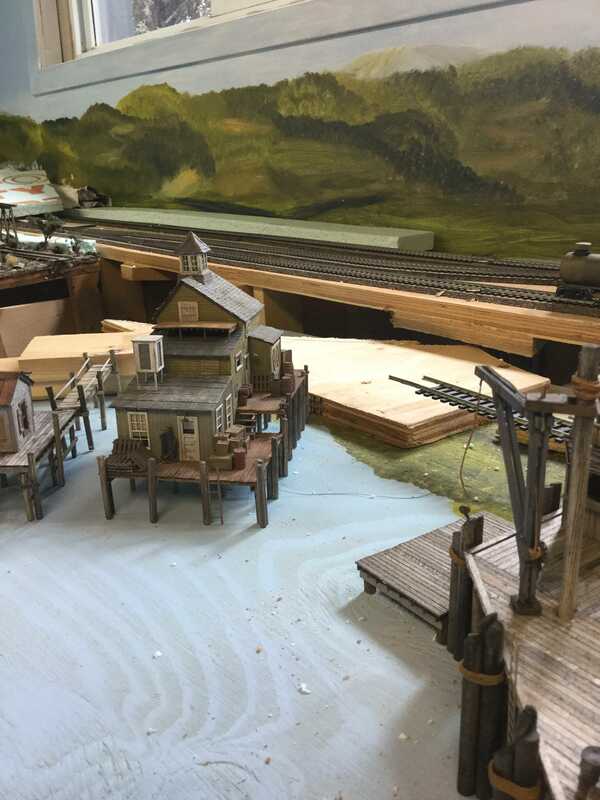 That dock house looks great as does your layout, looking forward to watching more. Really nice job on the dock house Lynn. You made an excellent kit look even better. 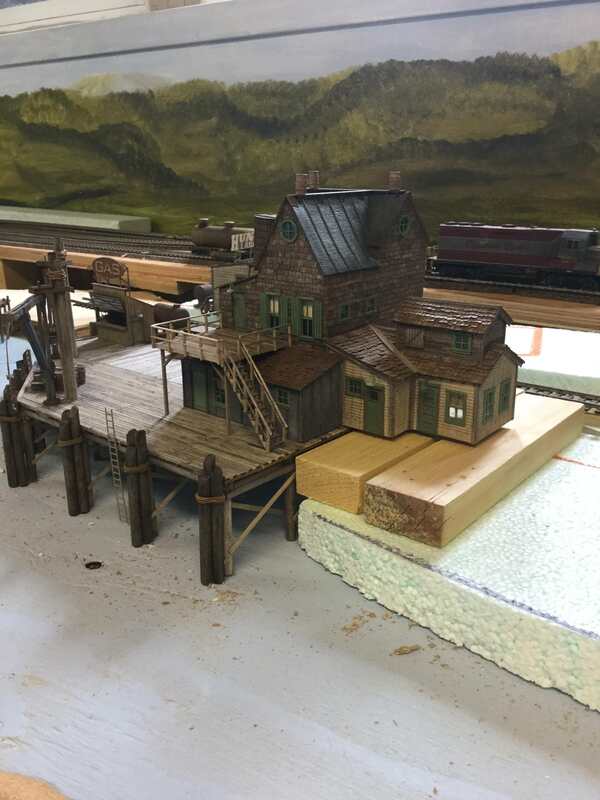 I really like the Bar Mills kits, but can't use the waterfront ones due to my layout locale. I do have at least a dozen others though. Thanks for the nice compliments, Willie I also like the Bar Mills kits although since I've started using a zinear I've sworn to try to keep to real world measurements and although on this kit I followed through , well for the most part following through, I have removed what doesn't make scence . I'm not a rivet counter but I guess as we get " more mature " we just get this way. I love the buildings from that era, but unfortunately they don't match my era. 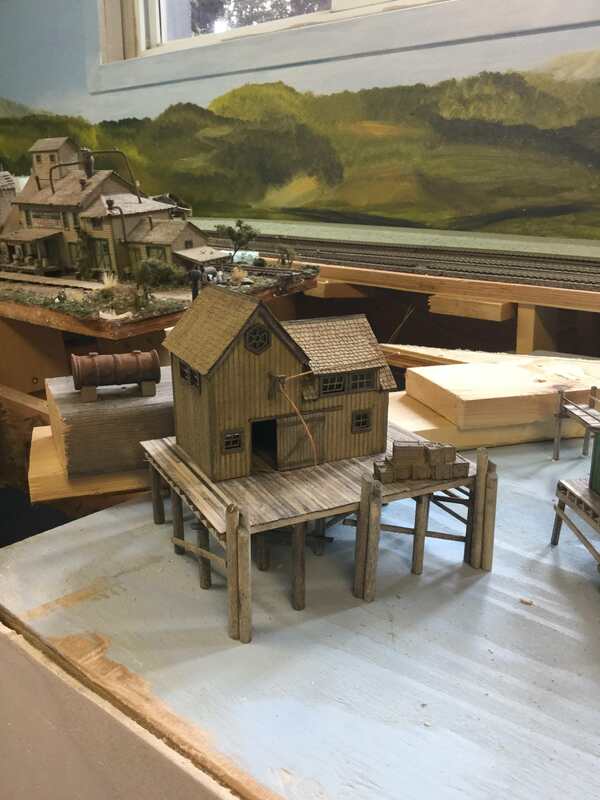 If I ever build dioramas, it will be those kind of buildings. Thanks Lloyd. Actually I'm not so sure this structure would be era oriented, it what you do for all the other stuff. First Class work on the "new layout". I like everything I see. I wish my land baron would loosen the reins a little for that size of space! Sherrel it is a nice size , previous layout was an additional room with this one. I'm pretty much spending the winter building up some kits so layout won't change much. Just got done reading through your build thus far. Very nice job! 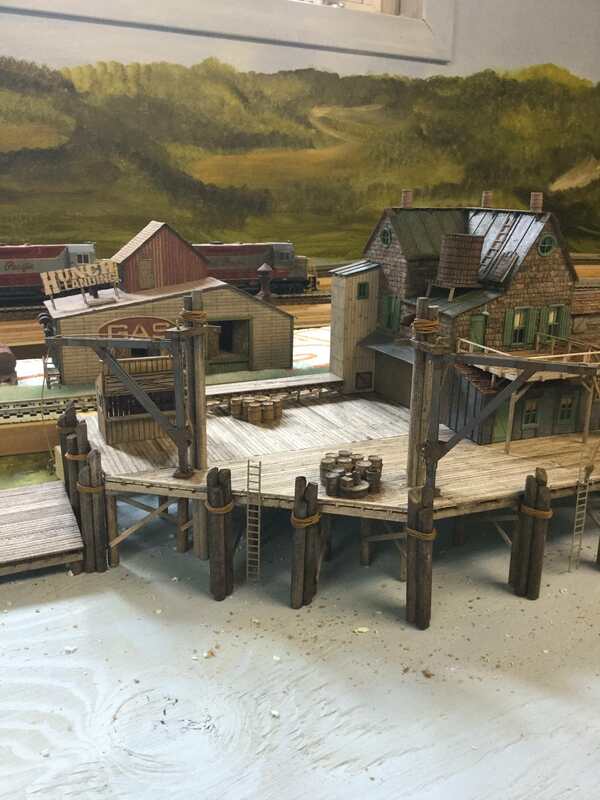 Been a long time coming to post my progress for the wharf area, but this is what I have been building over the past few months. 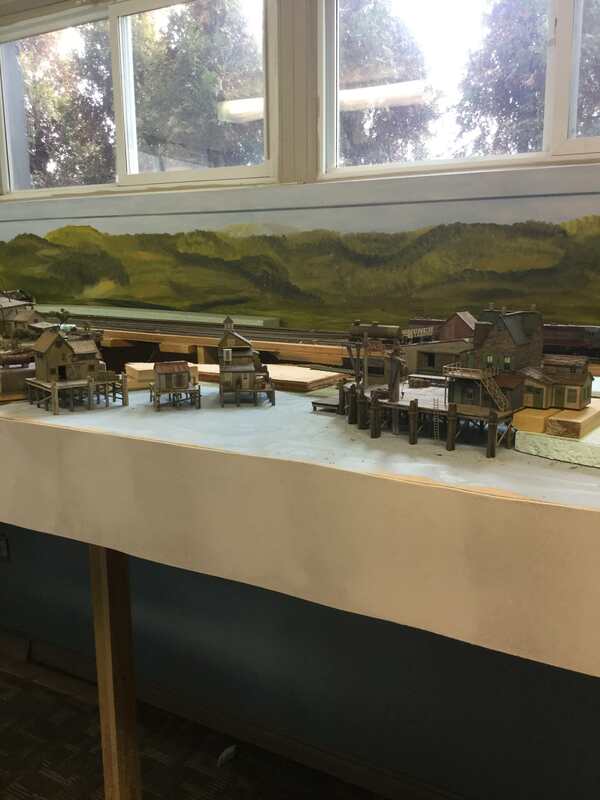 I still have many castings to finish , the buildings aren't in their permanant position, just trying for placement. The next structure I will/am building is the fsm 105 pile driver. To say those structures and that scene are and will look amazing would be an understatement. 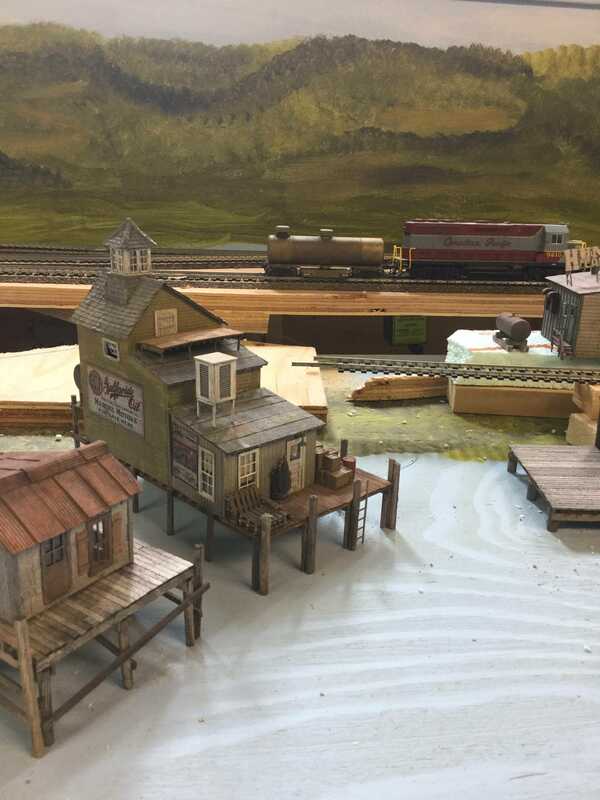 I'd love to have a water scene such as yours on my layout as well and may have to see if I can fit one in some where. 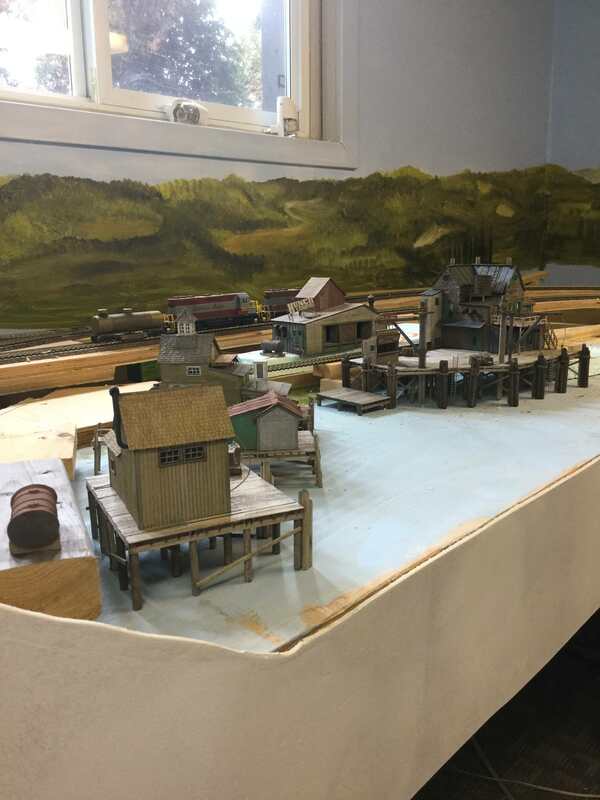 Anyway, that is beside the point - can't wait to see this scene completed - it will bring a great atmosphere to the layout! Thanks Tony, it shouldn’t be too difficult for you to fit in a water scene. I may have to re think that entire track plan which, to be honest, wouldn't really hurt my feelings. The upside is so much has been happening with me this year that nothing has been to the layout so anything is possible. Tony if you have to rethink the plan make sure you get into it what makes you happy. Remarkable work, excellent choice of color tones and weathering! I really admire the final result you put out Lynn! Excellent weathering of what's going to be a great scene, looking forward to future updates. Outstanding modeling Lynn. I always look forward to your updates!!!! Beautiful work on those structures. Looking forward to see the progress. Weathering is outstanding along with the details. 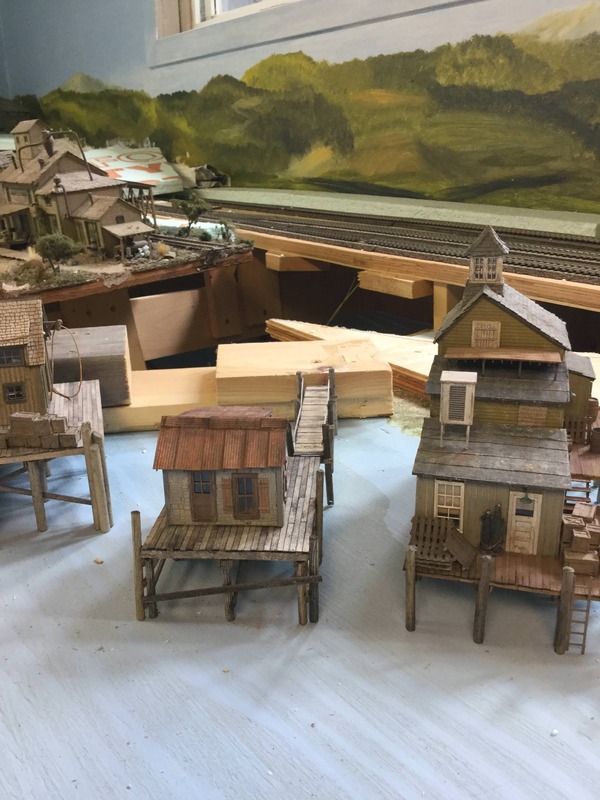 Having spent six years in the Navy, I would really have liked to have a port scene, but being that I am modeling the area right where I live in Montana, that is out of the quiestion. Did have one in my old N scale layout that was toen down in the late 70's.